Starts Aikidô in 1977. Teacher from 1987. Promoted VI dan Aikikai So Honbu in 2018. Organizer of dozens of national and international seminars in Italy starting in 1985. Teacher in charge of "Ryû-no-Ibuki" Aikidô dôjô since 1998. Member of the teachers board of the "Stage des Iles" in Cannes, France, from 2010 to 2014. Coordinator of the National Technical Committee of the "Shumeikai Italia" Aikidô association. From the beginning under two early students of Tada H. Shihan, XI dan, he has progressively increased his involvement in Aikidô, studying directly under Tamura N. Shihan, VIII dan (from 1985 to 2010) and Saito M. Shihan, IX dan (from 1987 to 1994, three times uchideshi in his Iwama dôjô for some months). Four journeys in Japan for intensive training periods (1987, 1990, 1992, 2006) visiting different dôjô led by students of the Founder of Aikidô including Ueshiba K. Nidai Dôshû, Ueshiba M. Sandai Dôshû, Shirata R. Shihan, Tada H. Shihan, Hikitsuchi M. Sensei, Saito H. Sensei. Attended over 200 Aikidô seminars in Europe and U.S.A., 80 of which under the direction of Aikikai Shihan, such as Saito M., Tamura N., Chiba K.T., Yamada Y., Kanai M., Sasaki M., Saito H.. Among the most important and influential relationships with renowned Western teachers, special places are taken by S. Benedetti Sensei, R. Vandroogenbroeck Sensei, and M.T. Shewan Sensei. It is under the urge of M.T. Shewan Sensei and D. Leclerc Sensei that he attends his first multi-disciplinary "Stage des Iles" in Cannes, France, in the early '90s, together with his brother in arms D. Romanazzi, also an Aikidô teacher in Roma. This seminar marks the beginning of a captivated relationship with Pascal Krieger and Shintô Musô-ryû Jôdô. After some time of solitary training, in 1996 he 'officially' takes up regular SMR keikô participating in the summer camp in Vesc, France, and in a seminar led by Nishioka T.Y. Sensei, Menkyo-kaiden, in Geneva, Switzerland. In 1998 he is encouraged by PK to start a study group in Milano, the "Jôdôkai Milano", now "Seiryukan Dôjô". Since then acted as EJF responsible for Italy, helping the establishment of other SMR regular courses in Roma, Padova and Milano. Two visits in Japan for SMR training with Nishioka T.Y. Seiryûkai Shihan (2006 and 2009). Attended dozens of international seminars, including most of the Kagami Biraki, Summer Camps and International Jamborees so far. Organizer of two European Jôdô Summer Camps in Italy: the 2004 edition in Lignano Sabbiadoro, and the 2017 edition in Tirrenia (Pisa). Also, organizer of the "Alpine Budô Seminar" (yearly Aikidô, Jôdô, Iaidô intensive, started in 2000) and of several SMR seminars in Italy. Promoted III dan in 2007. Completed SMR and fuzoku-bugei curriculum in 2009. Received Okuiri-shô certificate in 2008, Shô-mokuroku certificate in 2013, and Gô-mokuroku certificate in 2017. 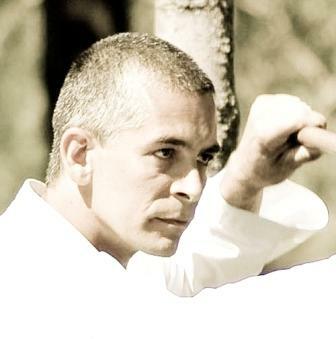 Charged with official teaching duties since 2011 as IJF Shoden and from 2013 as IJF Chuden. Practice of Iaidô, in particular Musô Shinden-ryû with Malcolm Tiki Shewan, Daniel Leclerc and Pascal Krieger, starting in the late '90s. Promoted III dan in 2014 (European Iaido Federation). In 2009, he formally joined Tenshinshô-den Katori Shintô-ryû, studying directly under Ôtake R. Shihan, Ôtake N. Shihan and Kyoso S. Shihan, during several European seminars and visiting twice the Shinbukan dôjô in Narita, Japan, in 2009 and 2011. Received Mokuroku certificate in 2016. Also in 2009, he formally joined Ryûshin Shôchi-ryû, studying directly under Yahagi K. Soke, during his European seminars and visiting twice the Seiseikan dôjô in Akabane, Tokyo, Japan, in 2009 and 2011. Charged with official teaching duties in April 2013 as Jun-shidôin. Promoted IV dan in 2016.